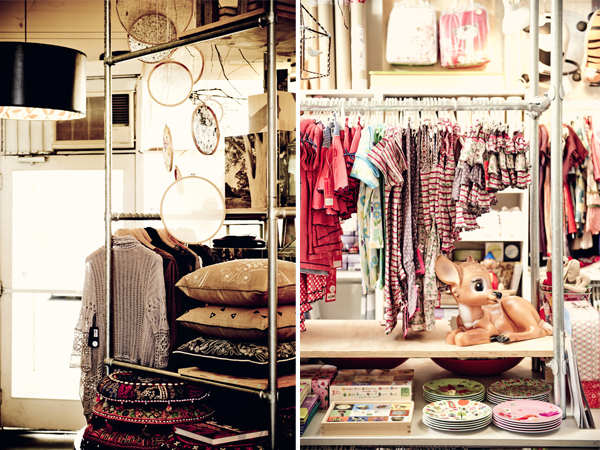 FK chats to Geelong shop owner, Kristen about her shop Goose. Tell us a bit about Goose and the concept behind it. GOOSE showcases products that stand out from the crowd, products I love. It is a destination store that is guaranteed to tempt. A boutique emporium showcasing products to pamper, pieces to decorate, stationery, candles, handbags, scarves, cushions, throws, lamps, fashion for ladies + kids, shoes, jewellery and even music, creating the complete retail experience. You opened the doors back in 1996. How has the shop changed over that time? Immensely! To start with the floor space was half the size and stock carried was on trend and very minimal in the early days. Now it’s like eye candy wherever you look and in abundance. I like to spoil my customers with choice. When I think back to how the store began, opened whilst I was studying visual merchandising and darting up and down the two lane highway from Melbourne to Geelong at any spare moment whilst my mum held the fort. 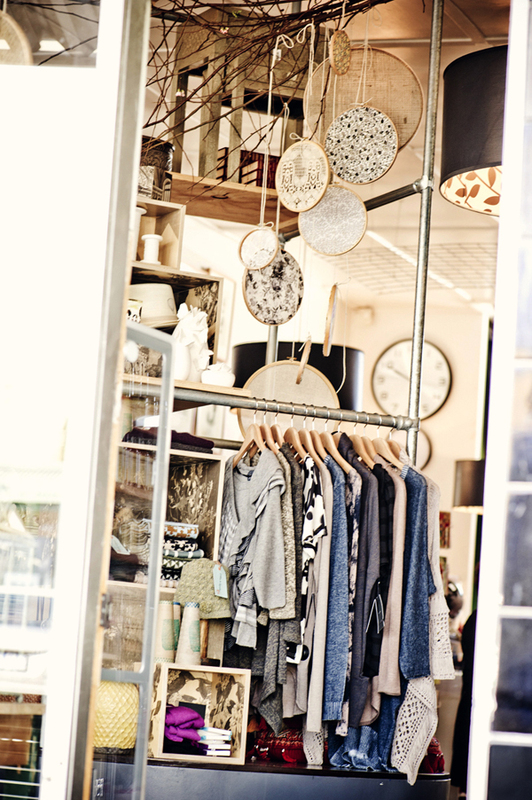 Back then our main focus was gifts and homewares, then in 2004 we doubled the shop floor space allowing for growth into other areas including womens and kids fashion, bringing the store closer to where it is today. On finishing year 12, I braved the move to Melbourne and immersed myself in all that the city has to offer whilst studying interior decorating at RMIT. One aspect that particularly caught my attention was the grandeur and trends on display, whether in the city department store windows or hidden away down the laneways. 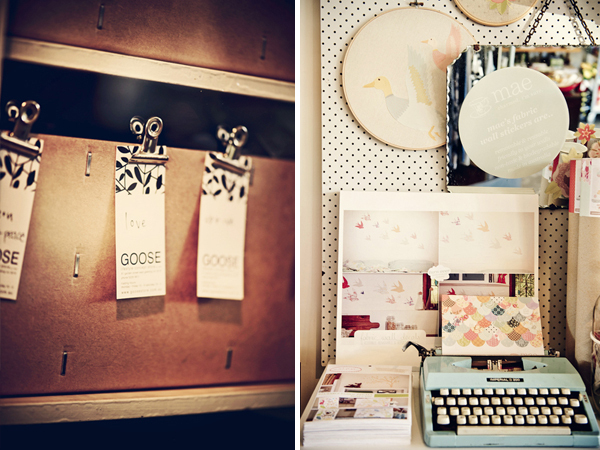 Study at RMIT continued, moving to visual merchandising and the opening of GOOSE during my final year. GOOSE constantly evolves, keeping it exciting and fresh for our customers and for me. The store provides a stage where the products take their turn being in the spotlight. I look for products that jump out at me, and I need to feel a connection and spark. 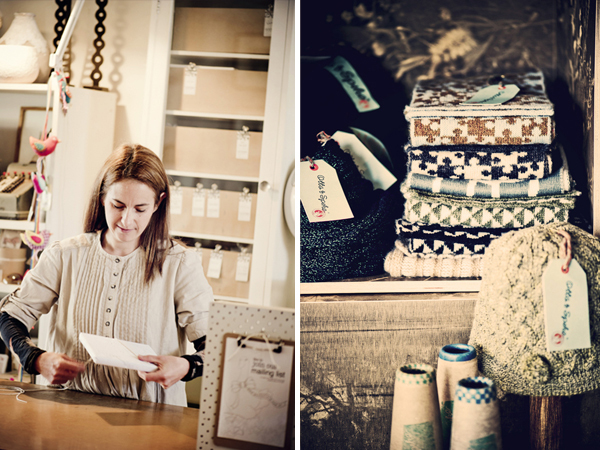 Each season our look is pulled together from a vast array of suppliers keeping the GOOSE shopping experience unique. I limit the quantity of each product that comes in to ensure the look is more individual for the customer. I find inspiration daily in all sorts of mediums, be it print or online (I devour all forms seeking a trigger to spur me into the next big thing) or simply a pattern or graphic when out enjoying my daily routines. I crave exposure to fabulous design and often find this when travelling or having time out of the store. Some of my most cherished pieces were found in far away destinations, such as the markets in Paris where I discovered amazing lithographs and prints. On returning from this trip I held an exhibition offering some of these pieces for sale. What is the design & art scene like in Geelong? 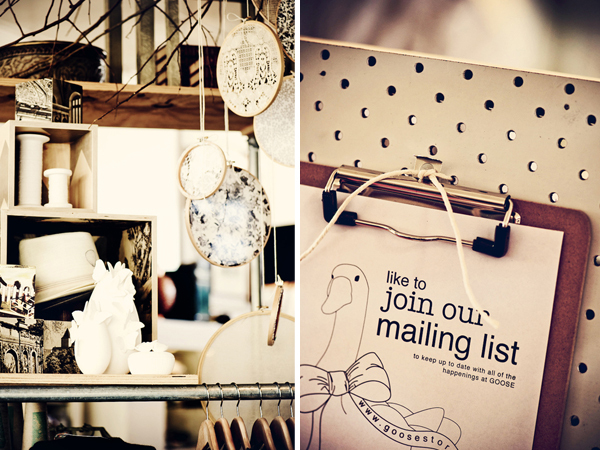 The Geelong design & art scene is beginning to come into its own which is very exciting. The city is attracting a variety of new people to the Geelong community, with families and professionals making the move. The city has suffered in the past due to it’s close proximity to Melbourne, however through new cafes, galleries, and theatre is now well on the way to a unique identity of it’s own. What is the hardest part about running a shop in 2011? There is a sense of negative media surrounding the down turn in retail, and the up rise of online shopping, however we always strive to create an environment that nurtures positive energy that make the customers feel happy and upbeat. Today more than ever this seems to be an essential ingredient to keep the business buzzing. What advice would you give designers wanting to find stockists? All stores are looking for products that set them apart and consumers are very well informed with product knowledge. Designers need to offer a unique range or product and ensure it is not over saturated in one market. 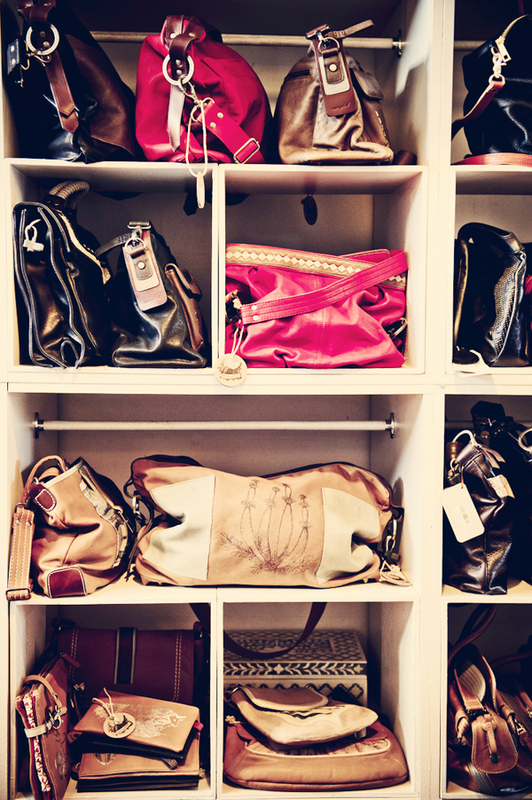 Instead focus on building great relationships with retailers that your product suits. When first contacting a store, try to provide them with as much information as you can be it a sample, pricelist, catalogue, images etc, I find email is the best way to communicate. I love the resurgence of the hand made item, it is unique and has a story, be bold and follow your vision. It can be challenging to find balance and not allow GOOSE to dominate. I’m fortunate to have 3 beautiful daughters 2 now at school and 1 assisting me at home / work (my not so quiet assistant!) I am forever grateful for the gift of distraction that my husband and daughters provide; together we play, whether it be in the veggie patch with our cheeky adolescent chickens or bike ride along the waterfront or around the river. We embrace the abundance of good things Geelong provides. Running small business means there is a lot to do that can be tedious, rather than the creative side which I prefer, however I always need to wear both hats for the business to succeed. This need for balance can be overwhelming at times which is when I take the advice I was given years ago, “make sure you remember to refill the well” . . . take time out so that my vision doesn’t become blurred by the hum drum of the demands. What a fantastic article and Kristen – what an amazing perspective you have on running a small business. You seem to have a fabulous ability to put yourself in the shoes of your customers. I love that! 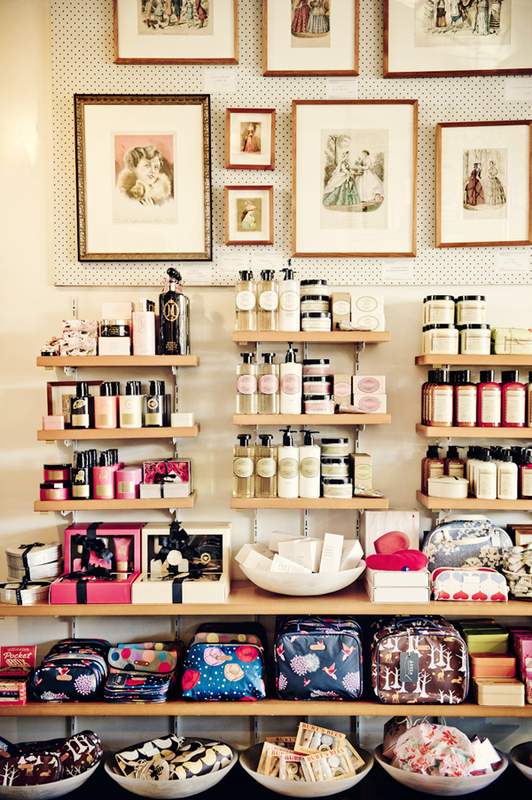 I’m from Geelong and can’t wait to come in and see your shop, which I wasn’t aware of until I read this article. The photos look amazing and I can’t wait to be inspired in real life. Keep up the good work!